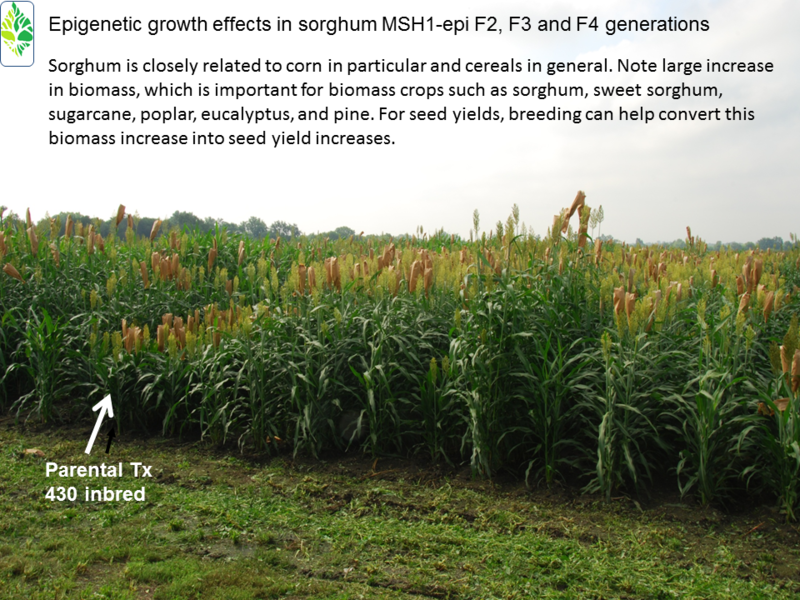 Sorghum - Epicrop Technologies Inc.
﻿MSH1-Induced Non-Genetic Variation Provides a Source of Phenotypic Diversity in Sorghum bicolor. ﻿ de la Rosa Santamaria R, Shao MR, Wang G, Nino-Liu DO, Kundariya H, Wamboldt Y, Dweikat I, Mackenzie SA. PLoS One. 2014 Oct 27;9(10):e108407. Epigenetically enhanced sorghum epiF2 Tx430 lines have higher yields that control Tx430 lines.